Are you currently keeping tonnes of pictures, video clips, music or documents in your hard drives and intend to access them from anywhere, anytime? Why not create your own cloud storage? 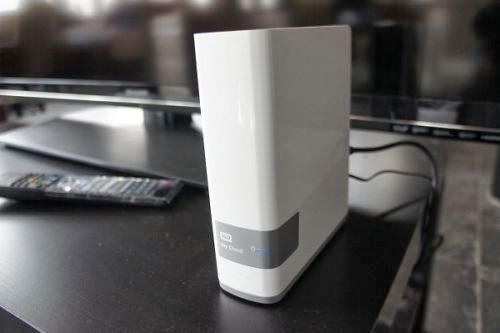 Western Digital has announced the availability of two My Cloud devices that are meant for home users and small business owner who need some form of networked storage that is affordable. They are Western Digital My Cloud and Western Digital My Cloud EX2. The My Cloud is a single drive network storage device that provides you with your own cloud storage solution without the need to register or pay for any cloud storage services. When connected to the internet via an RJ-45 cable, you can access My Cloud from anywhere in the world as long as your computer or smartphone or tablet is connected to the internet. 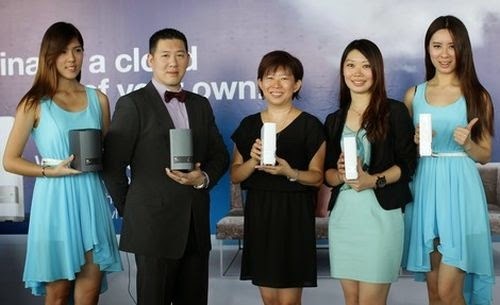 Meanwhile, the My Cloud EX2 is a two-bay variant of the older My Cloud EX4 four-bay network-attached storage (NAS). Similar to the EX4, the EX2 is designed for professionals and prosumers that need a reliable device to save, back-up, stream and manage large amounts of data. Both My Cloud and My Cloud EX2 has desktop and mobile apps that enable you to access the NAS from wherever you are and they can be downloaded for free on both Android and iOS stores. Apart from the obvious, they can also serve as a home's digital entertainment hub that can then be streamed to any DLNA-certified multimedia device such as a WD TV Live media player, smart TVs, etc. TheGreenMechanics: I'm going to check them out at Low Yat Plaza a little bit later this evening to find out the street prices. still not sure what is the difference from hard drive. my cloud ----> hard disk with internet connection module.